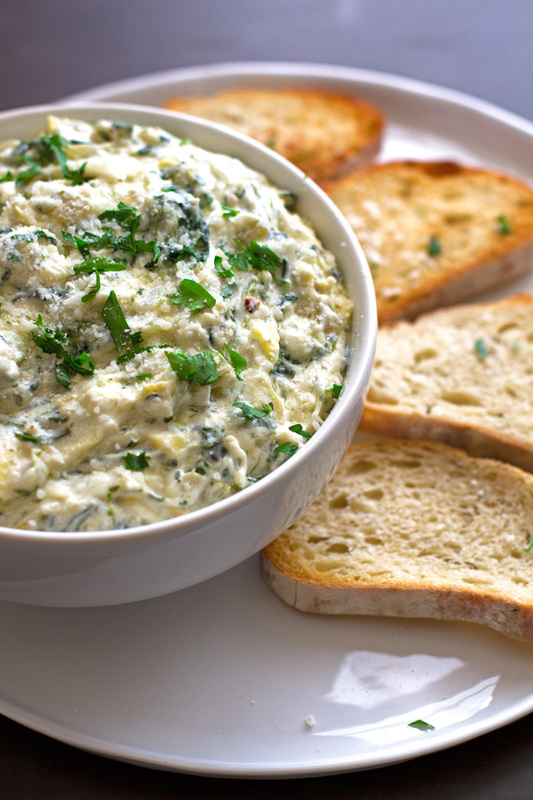 An easy to make recipe for thick and creamy, homemade spicy spinach and artichoke dip. This dip is a classic and requires little to no work! This dip. 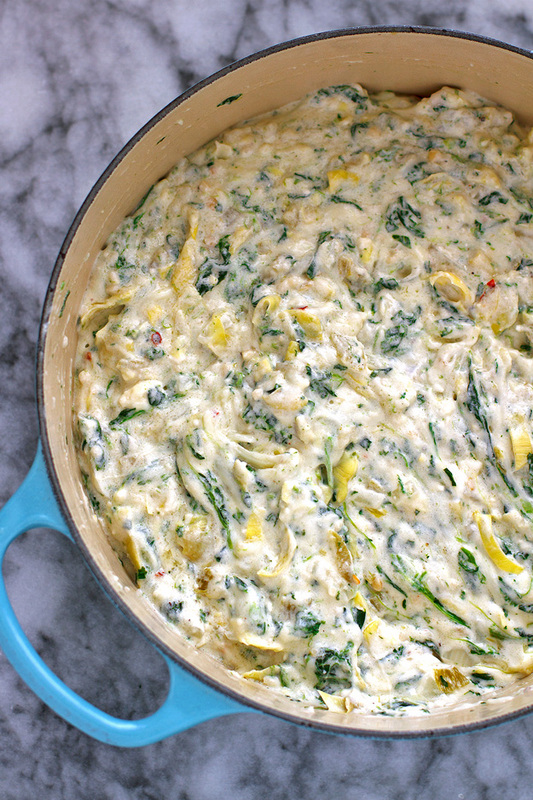 This spicy spinach and artichoke dip is absolutely yummmay! Truth is, i’ve made this dip on several occasions this summer. 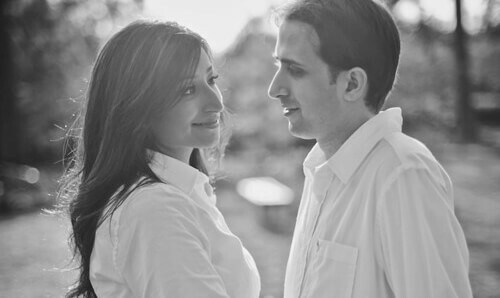 It’s been tested on over 50+ people and every one of them loved it! So naturally, I couldn’t keep this little gem from you guys. 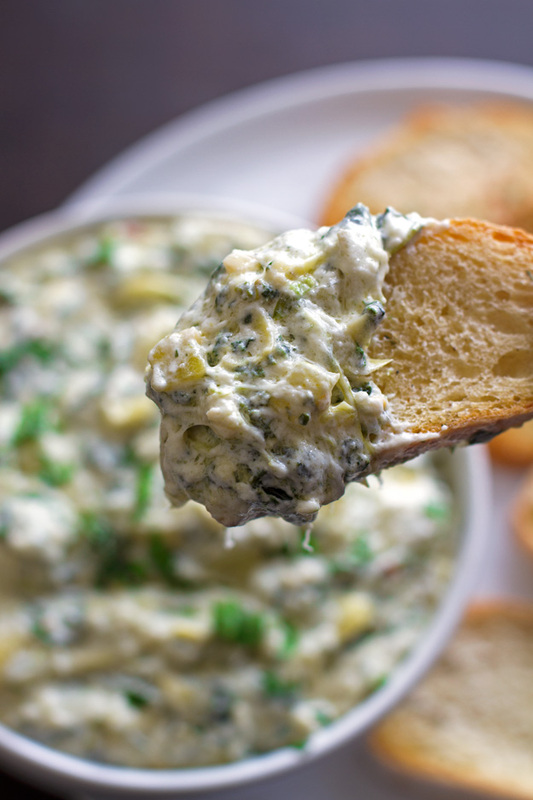 Confession: I didn’t even like artichokes till I met this dip – really. This dip is so, so good. Since this spinach and artichoke dip is a little heavier and i’m constantly trying to watch what I eat (okay, don’t look at any of my previous posts, please). I always make this dip when there’s a party and I can send the leftovers home with the guests. I don’t want any of that temptation lying around here. Lingering… calling my name. Nope. 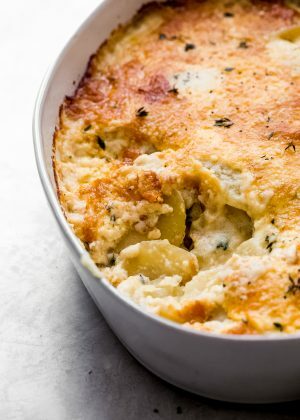 I’ve tested this recipe out several times and i’ve come to the conclusion that a) this spinach and artichoke dip can be made in the crockpot (yay) and b) it can be made even quicker on the stove (yay yay!) 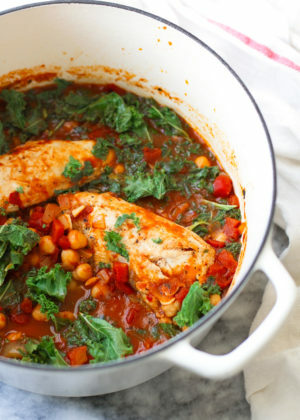 If I had to pick which method made this recipe even better, I would say the crockpot. 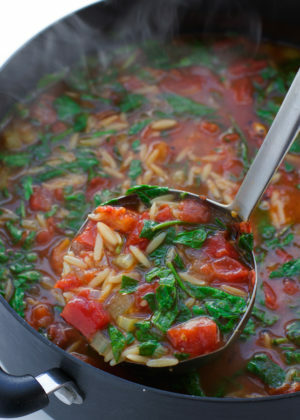 Although the stove makes it within 20 minutes from start to finish, the crockpot really meshes the flavors together better. But trust me, regardless of which method you use, your final product will be gone in a matter of .8 seconds. 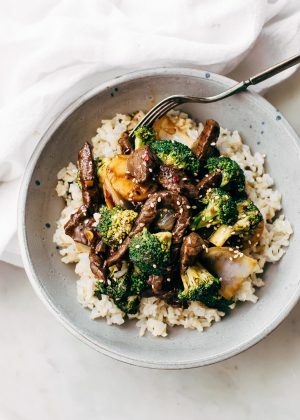 If you decide to make this recipe in the crockpot the directions are: put all the ingredients in a crockpot, let cook on low for 2 – 2.5 hours. 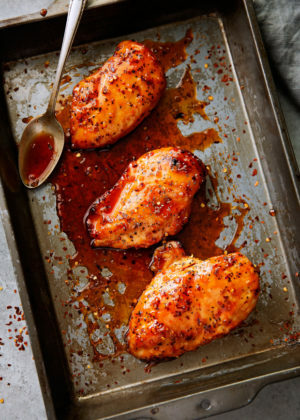 How’s that for a simple recipe? You’re loving me right now, aren’t you? We’ll start by sautéing our onions in a little bit of butter. Then, add the cream cheese, sour cream, mayonnaise, garlic, half and half, black pepper, and red pepper flakes. Let all the ingredients come together. There should be no lumps remaining, bubbles should start appearing at the surface. Next, we add in the red wine vinegar, artichoke hearts (all chopped up), diced green chiles, parmesan, feta, mozzarella cheese, and the spinach. 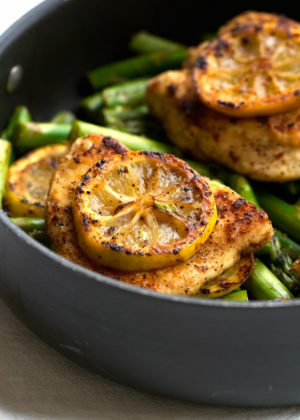 Give it a good stir, and let the ingredients kind of mesh the flavors together. Let cook for about 5-8 minutes or until bubbles start forming at the surface again. I like to serve this dip with crispy pita chips, tortillas, and crusty bread slices. Whatever you’ve got on hand will honestly work! 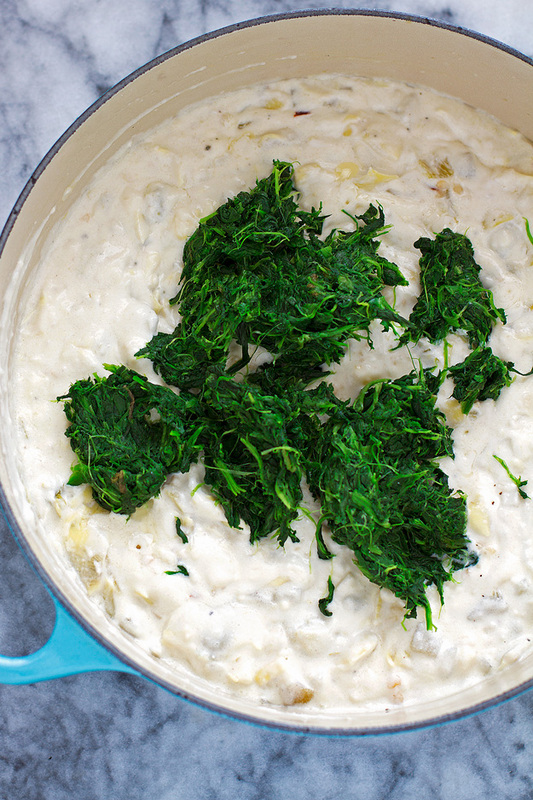 I also like to serve carrot sticks with this spinach and artichoke dip, that kind of healthy(er), right? Say yes, just… say.. yes. 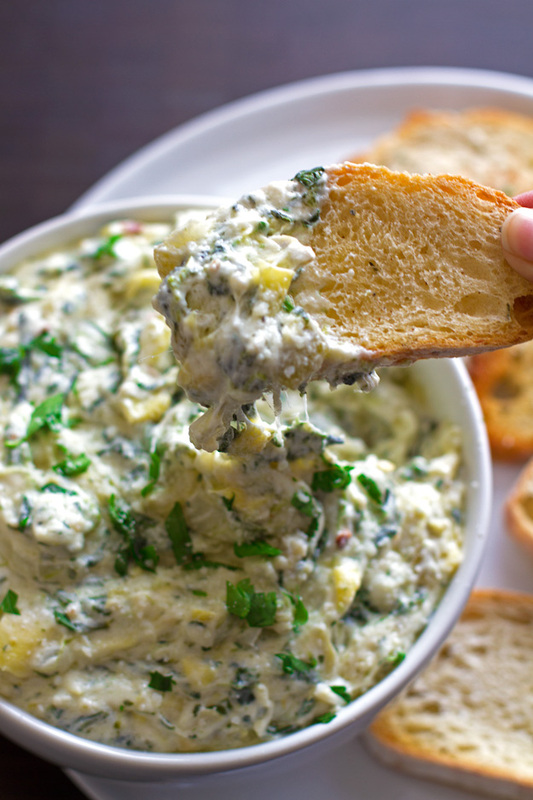 This creamy and slightly spicy spinach and artichoke dip makes for super easy appetizers or the perfect snack and if you have leftovers, it’s perfect to spread on sandwiches too (speaking from experience here). 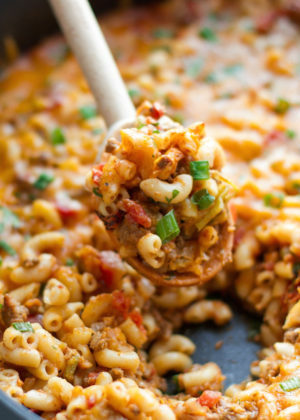 Bring it to a potluck and be prepared to have everyone beg you for the recipe. This dip is that good! But trust me. 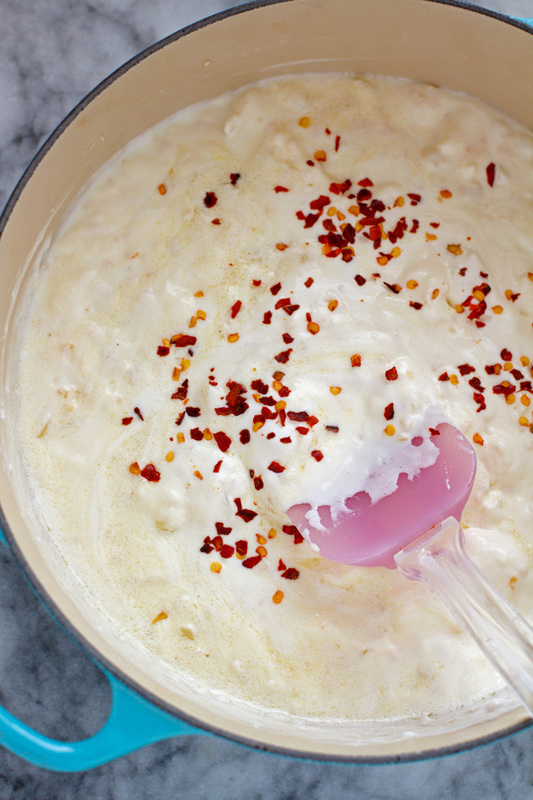 Once you taste the creamy smoothness of this dip with just a hint of spice from red pepper flakes, the pickliness of the diced green chili, the stretch of the mozzarella cheese (makes my heart stop every time!) 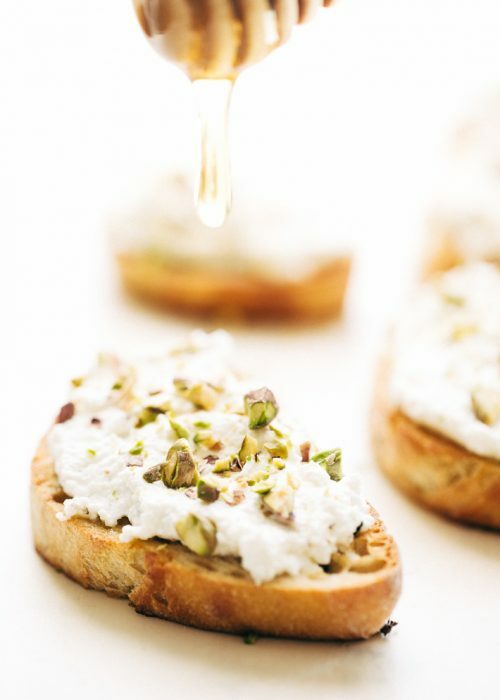 and salty, delicious, feta, then you’ll understand what I’m talking about! In a medium sized dutch oven, start by melting the butter on medium heat. Once melted, add the onions and sauté for 3 – 4 minutes, stirring in between so the onions do not brown. Add the minced garlic, cream cheese, sour cream, mayonnaise, half and half, ground black pepper, and the red pepper flakes. Work all the lumps out of the mixture, about 3 – 4 minutes or until bubbles start forming at the surface. Add the spinach, artichoke hearts, diced green chile, red wine vinegar, parmesan, feta, and mozzarella. Let the mixture continue to cook for 5 minutes or until bubbles start forming at the surface again. 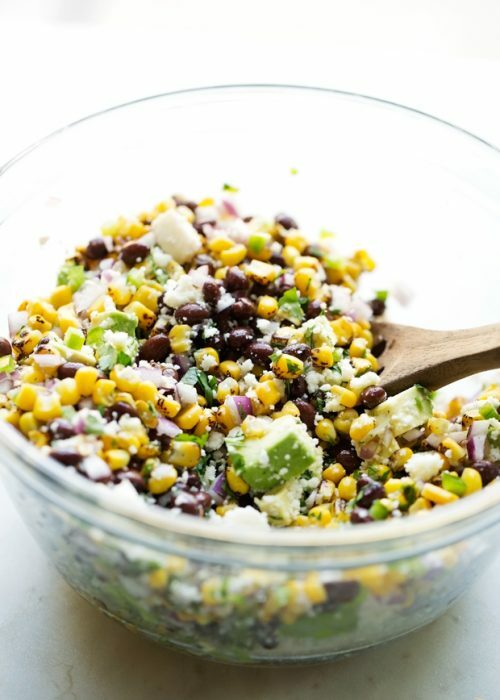 Serve immediately with tortilla chips, pita chips, or crusty bread slices. [br] [br] [br]Leftover dip can be kept in an airtight container in the refrigerator for up to 3 days. 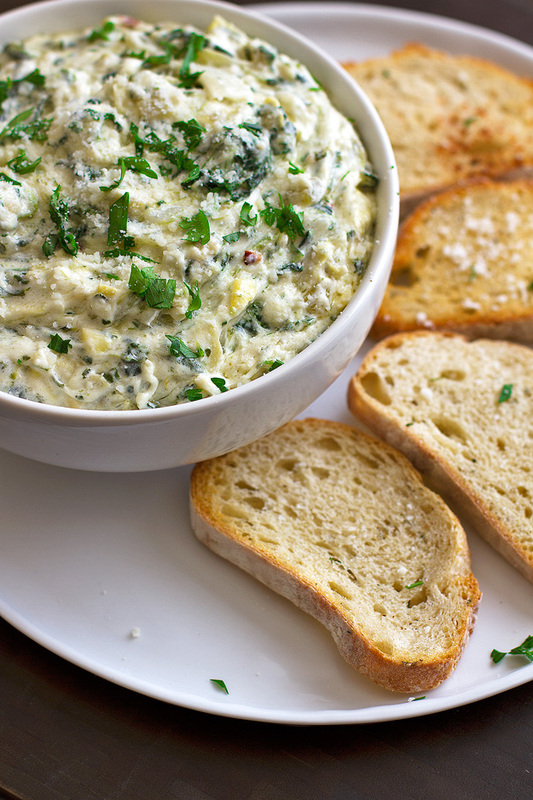 Like this recipe for spicy spinach and artichoke dip? Craving more? Stay in touch and show your love! Follow me on Instagram, Pinterest, Facebook, Twitter, Bloglovin’, and Tumblr. I made this on superbowl sunday, it was delicious! Only we were just three people, so it was a rather big portion 😉 I could have guessed as the recipe says it serves 10, duh! However, I will surely be making this again for the next party. 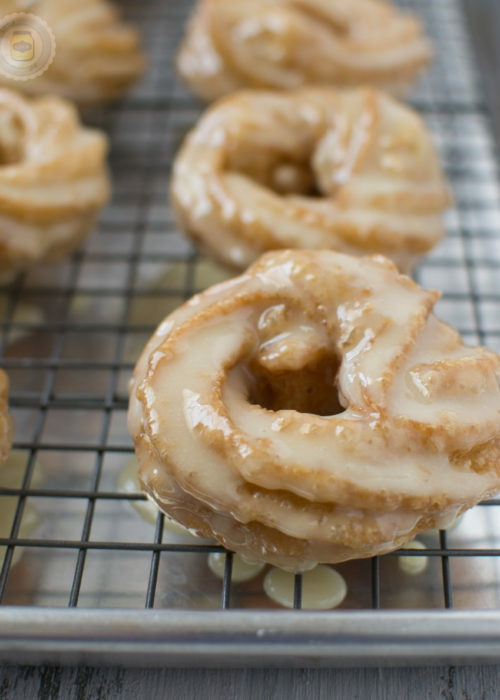 Thanks for sharing this awesome recipe! Quick question: How long do you reckon it keeps in the fridge? Thanks! Glad you enjoyed it, Svenja! Hmm. I believe it should be fine for up to a week in the refrigerator. 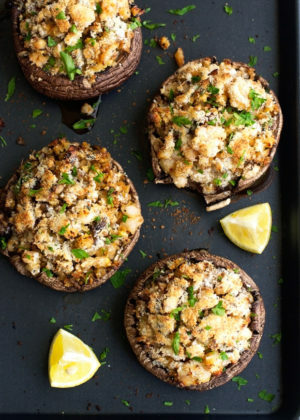 This looks amazing!!! 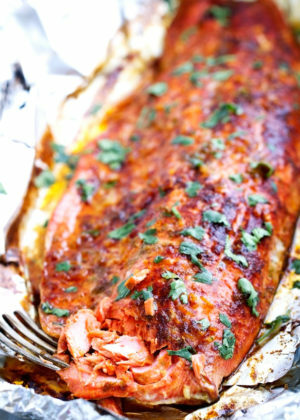 I want to make it ASAP! I have to ask, do you shoot outside and what lens do you use? Your photos are gorgeous!!!! Thanks Natalie!! I shoot inside, just near a really large window. I recently got a new lens. It’s the 50mm 1.4 lens. Absolutely love it! Yes! I want the whole bowl! I love the addition of the green chiles – I bet it’s delicious! 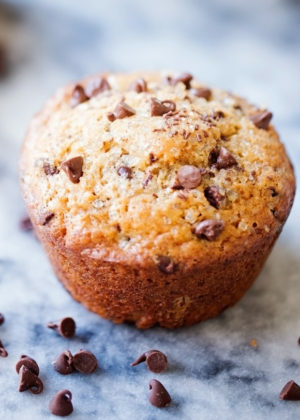 Yummmm! 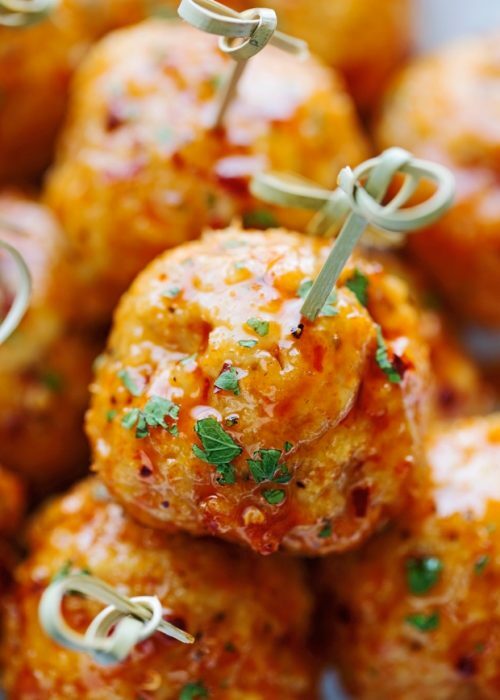 I love this spicy spin on a classic party dip, Marzia!